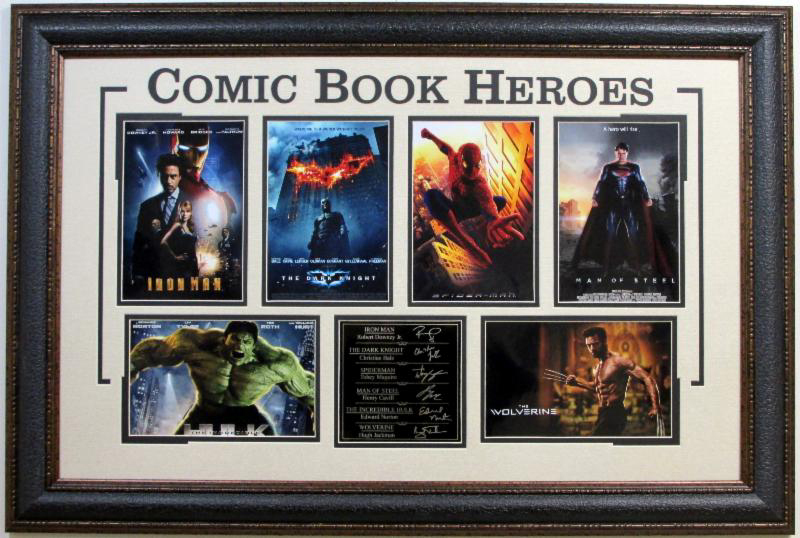 The greatest Superheroes of all time are all right here along with the laser signatures of their creators. A fun and colorful piece for the comic book and movie fans. Laser cut lettering looks fantastic. Enjoy this piece.